These fine quality tea bags created from the original formula are the perfect, no hassle way of preparing our tea. These fine quality tea bags created from the original formula are the perfect, no hassle way of preparing our tea. 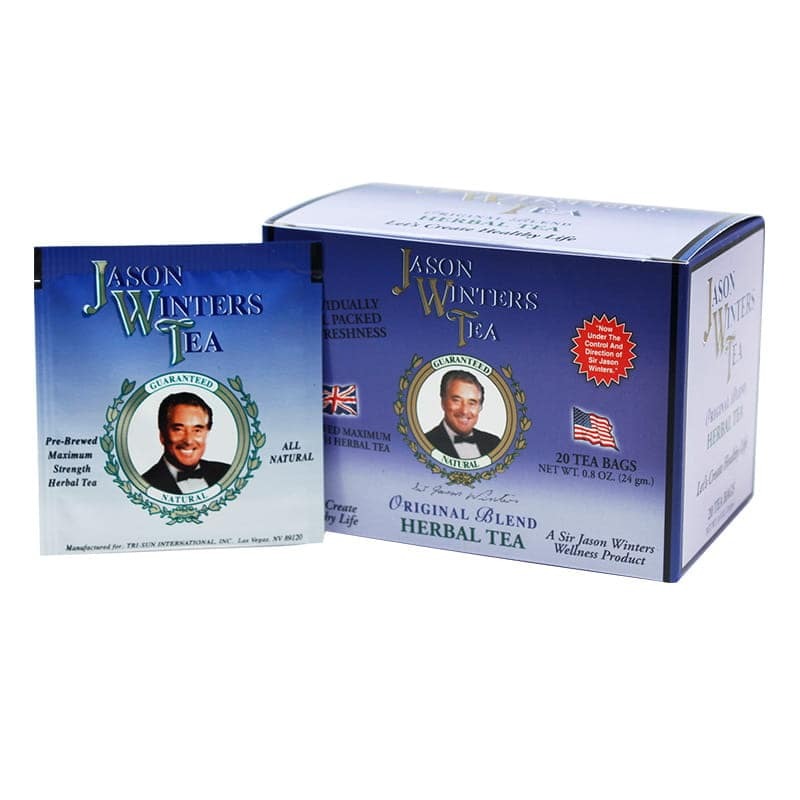 Just dip a bag in a cup of boiled water and enjoy the distinctive taste of Jason Winters Tea. The perfect way to share a cup with family and friends. One tea bag makes up to 3 cups of tea! Find out why fine restaurants around the world have added Sir Jason Winter’s Herbal Tea to their menus. Place one tea bag in a cup of hot water and steep for 1-2 minutes. Agitate as desired to make stronger tea. One teabag will make up to 3 cups of tea. To ensure a stronger and more consistent tea, we have developed a proprietary method of pre-brewing our tea, by extracting the herbs and spraying the concentrate onto base of Oolong tea. Red Clover, Indian Sage Leaf, Oolong Tea Leaf, Herbalene® Blend (special spice). Naturally occurring caffeine. 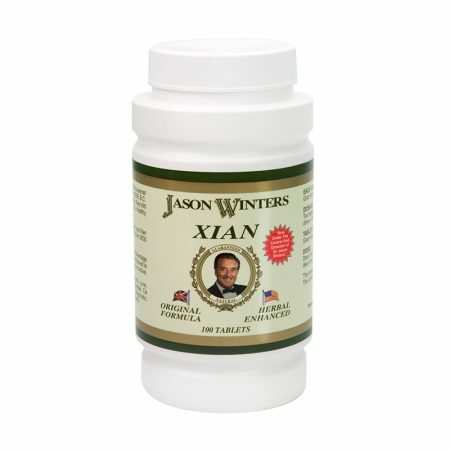 I’ve regularly used Jason’s original formula tea since it’s inception in appx. 1978. I drink NO other tea except the Chaparral mixture. I drink it like most tea drinkers use regular pekoe type tea- hot or iced- mainly hot but good in any form. I have been using this tea for years. I had dental work done and my lower jaw where they put the needle for freezing made my jaw go numb. It took a long time for it to go away. then , If I was under the weather, the numbness came back. 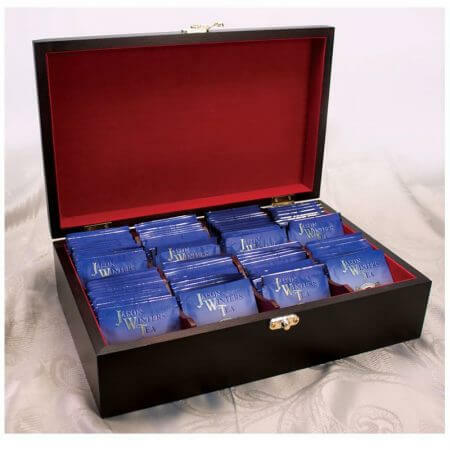 I use this tea for the numbness ever time it occurs and within a few days or so it is all cleared up. Great product and I always have it on hand. 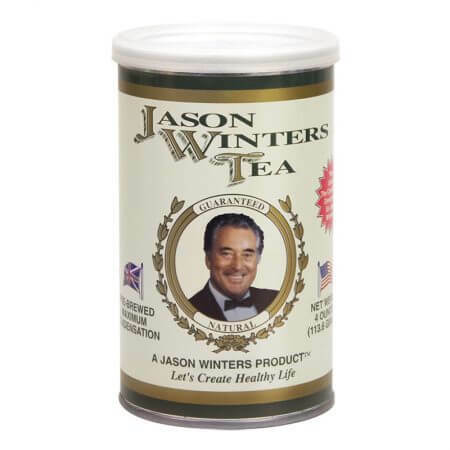 Since 1981, I have enjoyed this fabulous Original Jason Winters Tea. I know it saved me from cervical cancer 36 years ago and has helped keep me healthy all of these years. At 69, I golf and enjoy life like a young person! I thank God & the Winters Family! You are a blessing!! 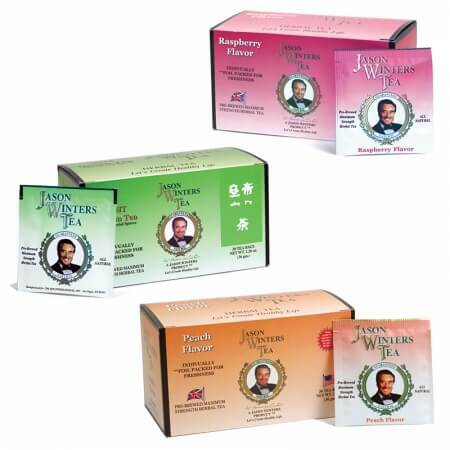 Sir Jason Winters’ philosophy and Tea saved my life 26 years ago, when I was diagnosed with cancer at at 39. I walked into the health food store in 1991 and Killing Cancer:The Jason Winters Story fell off a shelf onto my foot! I had just been diagnosed with squamous cell carcinoma, the same kind that Sir Jason had “killed!” My life changed that day and I could not be more grateful for the book and products. I love the original Tea blend and drink it to this day. Thank you to the Winters family for continuing this legacy. Thank you! I think this tea is very light and leaves no after taste. I ordered because of it’s reputation so I hope it helps prevent possible health problems in the future. I’ve just recently started drinking your tea. I find it very soothing and comforting. I have yet to experience any physical results, but just the taste alone is worth buying it. Tastes great, reasonably priced and removes toxins while boosting one’s own immune system. Mr Winters your tea is unbelievable. My wife breast cancer was cured after 6 months of taking your tea. My wife nephew’s brain tumor went away after 3 months of taking it and my Father in-law prostate cancer was cured in just 4 months of taking it. My friend in California was diagnosed with stage 4 pancreas cancer and was given 6 months to live. I recommended her the tea and she’s been taking it for more than 6 months now and her health is improving. Lots of my friends including myself are taking the tea just for maintenance and we are all happy because its really improve our immune system. I have recommended your tea to all my friends and relatives. We love your tea and think it really works! My husband found your tea and book back in 1984 when he found out he had cancer. They gave him 1 year to live and we started looking and doing things to help him and this worked. It is now 2016 and he is still alive cancer free! I found out in December 2015 I had breast cancer and started drinking your tea. I think it has helped with every phase of my treatment! Won’t stop drinking it!! I also told my dr’s about it and some other cancer patients. Love it!! !